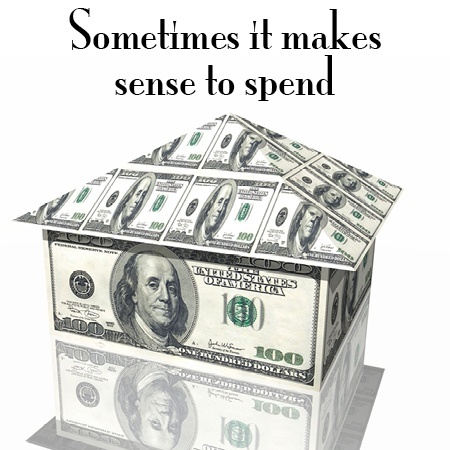 “Spend money” may be the last thing you think you want to hear when considering remodeling your Naples-area home. Let’s be honest, home remodeling costs money. But what’s really important isn’t how much you spend (within reason, of course), but how wisely you spend—and what kind of value you get for your money. There are some remodeling “splurges” that aren’t so much extravagance as they are savvy investments in the value of your home. Here are a few areas where spending a little more may be well worth it. There’s a difference between truly innovative technology and “gadgets.” Spending money on gadgets doesn’t really improve your lifestyle or the value of your home. There are, however, technologies that make living easier, more convenient, and even more cost-effective. 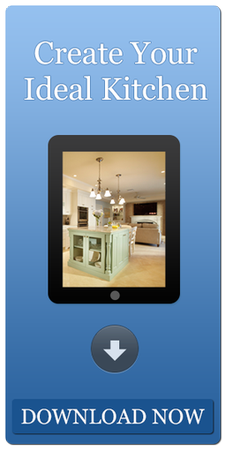 That would include features such as countertops that can be raised or lowered to better accommodate certain tasks. Or it might mean cabinets that lower to provide easier access to the top shelves. Those are things you might enjoy now—but if you’re planning to stay in your home for a long time, they could end up being essential. Programmable thermostats have been around for a while, but some of the newer smart thermostats actually learn your patterns and adjust your home’s temperature without you having to do anything. Not all innovation is glitzy. Spending money on under-cabinet shelves that slide out to make it easier to access items at the back is a simple, but extremely practical innovation. Lighting technology is an often under-appreciated area of innovation. The advances in LED technology are remarkable. You can have a lot more control over your lighting than ever before. The quality of the light is superior to CFLs and LEDs use a fraction of the energy. You can get the warmth of conventional incandescent bulbs for far less money. There are certain upgrades you can make when remodeling your home that make more sense than others. While this isn’t an exact science, a rule of thumb is to opt for those things that make life more livable—things that anyone might enjoy. Generally speaking, the higher quality materials you use, the more you’ll pay initially. Granite and marble countertops cost more than Formica, but they’ll also last considerably longer and look nicer. And if you ever decide to sell, you’ll recover more of your investment. The same is true for kitchen and bathroom fixtures. You don’t need solid fold faucets, but good quality fixtures will deliver years of enjoyment without needing to be replaced and will make your home easier to sell should you decided to do so. You can try to shop for bargains, but bear in mind that you’re purchasing something you’re going to be using on a regular basis. Get something that will look good for years and provide superior service for the long haul. Here’s a word of caution, however: Keep things practical. You can spend between $10,000 and $11,000 on a stainless steel Viking Professional 7 Series 48" Gas Range with 8 Burners, but if you’re not really a gourmet cook, you probably won’t get your money’s worth from it. And when it’s time to sell you won’t recoup your investment. In fact, it may even intimidate some potential buyers. While you should make your decisions based primarily on what fits your lifestyle and what will make you more comfortable, it’s good to keep resale in mind. Here’s an article that highlights what homeowners are really looking for when they look at a home. In short, style is great—but avoid fads. Spend money on quality that delivers value (comfort, convenience, longevity). Spending too much and spending too little are both poor decisions. Splurge on the the things that will improve your quality of life.